Welcome to the office of Campus Ministry! We are deeply committed to supporting the spiritual journeys of persons from all religious traditions and backgrounds. We do our best to invite, train, and support student leadership/participation of worship services, programming, and service trips. We try to empower and support students, staff, or faculty to bring their ministry and prayer ideas to life. We provide pastoral care, which is most fundamentally a relationship—a ministry of compassionate presence, and enables healing and growth to take place within individuals and their relationships. We are available for support during times of grief and loss. If information regarding the illness or death of a student, faculty or staff member or family member is given to the campus ministry office, remembrance will be made at Liturgy and posted on our prayer request site. Campus Ministry is an office at Clarke University, not a student club, so you are part of it just by attending Clarke! 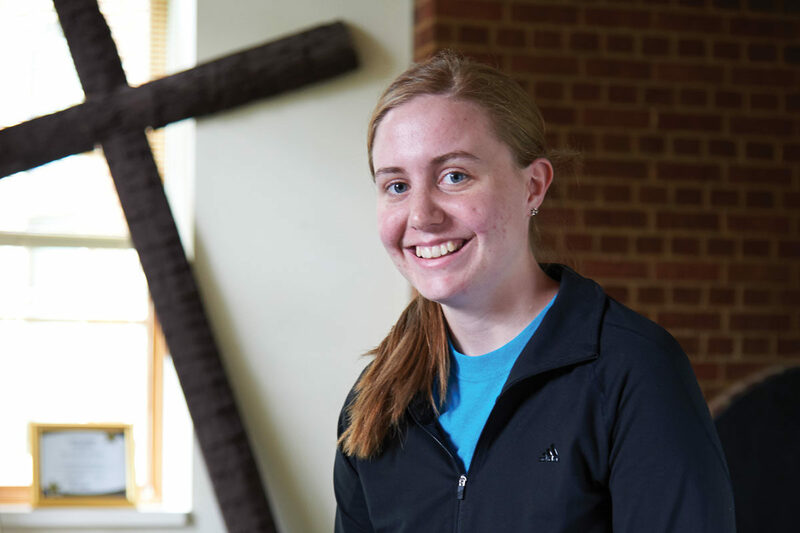 People listed on our Source page are active in a role in Campus Ministry. Visit our Source page to find out when our activities and events are happening as well as to apply to our service trips and retreats. RCIA (Rite of Christian Initiation for Adults) is the process for persons who desire full initiation into the Catholic Church. This includes preparation to receive the sacraments of Baptism, Confirmation and Eucharist. Any Clarke student, staff or faculty member interested in receiving one or all of these sacraments should contact Hunter Darrouzet, Director of Campus Ministry at Clarke University.